What is the LSAT and how do I sign up? The Law School Admission Test (LSAT) is a half-day standardized exam that is required for admission to most U.S. law schools, including Bowen. The LSAT is administered four times per year: September (or October), December, February and June; with more test dates scheduled in 2018. You can obtain further information about the LSAT (including dates, costs, and registration requirements) from the Law School Admission Council (LSAC). We recommend that you take the LSAT in June after your Junior year of college or September/October, or December of the year before you plan to begin law school. Bowen accepts LSAT scores taken within five years of when you want to enroll. What is the composition of the LSAT? The LSAT tests reading comprehension, analytical reasoning, and logical reasoning. A 35-minute writing sample is administered at the end of the test. The sample is not scored, but we will receive a copy of it and review it. You should spend a minimum of 6 – 8 weeks taking practice tests and improving your reading and analytical reasoning skills. LSAC makes practice tests available. In addition to LSAC, you can find preparation materials in bookstores, public libraries, and online. If you are interested in purchasing a commercial prep course, you may want to start by visiting Reviews.com to compare LSAT prep courses side-by-side. What is the median LSAT score? For the 2017 entering class, the median LSAT score was 151. If I have taken the LSAT multiple times, which score do you use? We consider all LSAT scores, but in most cases we rely on the highest score in making admission decisions. The Credential Assembly Service (CAS) compiles a report for each applicant that includes transcripts, LSAT score information, LSAT writing samples, and letters of recommendation. The service then forwards this information to law schools. Bowen applicants are required to utilize the CAS and have a report compiled for them. You can obtain further information about the CAS from the Law School Admission Council. How can I request a CAS Fee Waiver? The Law School Admissions Council administers all CAS Fee Waivers through their fee waiver service. Bowen Law School does not provide any CAS Fee Waivers. Do I need an undergraduate degree? Yes. Prior to enrolling at Bowen, applicants must have a bachelor’s degree from a four-year accredited institution. Will my college major affect my chances of being admitted? Bowen does not require or give preference to any particular major. Our students have majors that range from political science to engineering to journalism. What’s most important is completing a rigorous courses of study that will help prepare you for the challenges of law school. How do my GPA and LSAT scores affect my chances of admission? Bowen’s admissions committee looks at an applicant’s total admissions package when making its decisions. We offer admission to applicants with a wide range of numerical profiles. Is there a minimum GPA or LSAT score that Bowen considers? There is no minimum GPA or LSAT score. All completed applications are considered. Will a graduate degree improve my chances of admission? Graduate degrees rarely make or break applicants’ chances of admission, however they do show an applicant’s ability to succeed in a graduate program. If included, graduate records will be looked at in comparison to applicants’ undergraduate records. Why is my GPA on my CAS Report lower than the GPA on my transcript? For purposes of the Law School Report, your GPA is converted by the Credential Assembly Service (CAS) to a uniform scale. In many cases this conversion lowers your GPA from what is reflected on your transcript. The disparity often occurs in cases where applicants repeated courses due to low initial grades. All grades received in a course are calculated for purposes of the CAS Report, even if your college only calculated the highest grade. The difference could be caused by other reasons as well; you can find out more about these factors from LSAC. April 1st. Prospective students should aim to submit their required documents by Jan. 15. Because Bowen has a rolling admissions process, where applicants are considered for admission as their files become complete, we typically begin making offers of admission in December. As a result, applications completed at or near the April 1st deadline are considered on a space-available basis. Applications must be submitted online using the LSAC online application. Are letters of recommendation needed? No. However, applicants are welcome to submit two professional letters of recommendation as part of their Credential Assembly Service (CAS) Report. What should I write about in their personal statement? Personal statements should be two to three pages in length, typed and double-spaced. Discuss reasons for wanting to attend law school. It is particularly important for non-residents to discuss why Bowen interests them in their statements. Other information about their background, life experiences, diversity, and volunteer work can be included, as this information is often very helpful in the admissions and scholarships process. Do applicants need to submit a résumé? All applicants must submit a one page résumé. Who makes the admissions decisions? When will a student receive an admissions decision on their file? 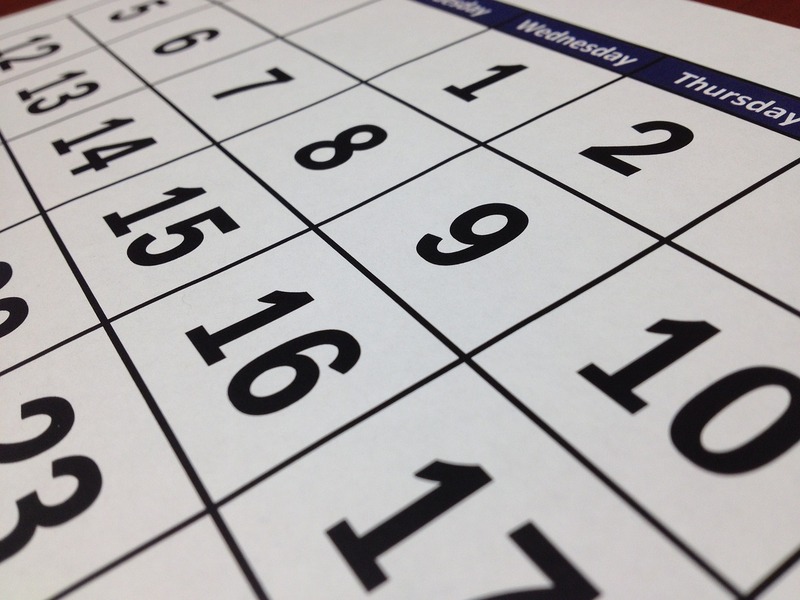 The length of review varies; it can be as short as a few weeks or as long as a few months. Earlier applicants tend to receive decisions quicker than later applicants. We will not consider an applicant until he or she has submitted all required materials. The amount of time it takes for our admissions committee to consider applications doesn’t foretell what decision the committee will make. Does Bowen have a waitlist? Yes, Bowen has a waitlist whenever it is made necessary by a high-volume applicant pool. We keep a waitlist of candidates throughout the admissions cycle. Applicants placed on the waitlist are notified by e-mail. The waitlist remains active until the first day of the First Week for first-year students. However, we revisit and render final decisions on waitlist candidates throughout the cycle, as space becomes available. Does Bowen have a part-time division? Yes. The part-time division meets in the evening. Students enrolled in the part-time division will only be allowed to take evening classes. Do I have to apply for only one division? No. Bowen’s application allows you to indicate a first and second choice. Is it easier to be admitted to the part-time division? No. Both divisions have the same qualifications for admissions and have approximately the same average LSAT score and GPA. The full-time division fills faster because there is more demand for it. Can I start law school in the spring semester? No. The law school only admits a new class in the fall. Does Bowen accept transfer students? Does Bowen accept visiting students? What is Bowen’s tuition and fee rate? Specific information about tuition and fees can be found here. Can a prospective student have a tour of the law school? Yes. Please contact the Admissions Office to arrange a tour. What are your residency requirements? The UA Little Rock Admissions Office on our main campus determines eligibility for Arkansas residency status. If you have questions about the residency policy, call 501.569.3127. Generally, In order to be considered an Arkansas resident for tuition and fee purposes you need to: (1) If you are a US citizen, you have been an Arkansas resident at least 6 months; or (2) If you are a permanent resident, you have had your permanent resident card for at least 6 months and been an Arkansas resident for at least 6 months. Are there different admission standards for non-residents? No. All applicants are considered in the same admission pool. Can I be admitted without taking the LSAT? Yes, UA Little Rock students who (1) have scored in the 85th percentile or above on a standardized college or graduate admissions test (ACT, SAT, GRE, or GMAT); and (2) are ranked in the top 10% of their class or earned a cumulative 3.5 or above GPA though six academic semesters may apply to the law school without an LSAT score through the Trojan Track program. However, please be advised that if you apply to another law school or transfer you will need to take the LSAT. The application deadline for the Trojan Track program is December 1. The first day of class for each semester is listed on the academic calendar. What happens at First Week? Your experience here begins with “First Week.” Our entering student program is unlike anything you experienced in your undergraduate days or in another graduate program. It is not orientation. It is your actual first week of classes, and it is a required part of the curriculum here at Bowen. First Week is considered integral to the academic semester and includes class with one of your professors, training on expert learning skills for law students, meetings with your student success team (SST) facilitated by our Dean’s Fellows, graded assignments and completion of administrative matters associated with your time at UA Little Rock. In the full-time division, most people graduate after three years; however, it is possible to graduate in two and a half years by attending summers classes. In the part-time division, most people graduate in four years; however, a few take five years. The American Bar Association does not permit students to take longer than six years to obtain a J.D. degree. A student who attends part-time the first year and switches to full-time the second year may still graduate within three years by attending summer school. What is the class schedule like in either division? Typically first-year full-time students have classes Monday through Friday, beginning at 8:45 a.m. and spaced throughout the day until around 4 or 5 p.m. You will have study time between classes. First-year part-time students attend four nights per week and have class from approximately 5:45 to 9:25 p.m.
Do different professors teach in the evening division? No. Our full-time professors typically each teach one day and one evening course every semester. Adjunct professors, who are attorneys and judges, teach in both divisions. All required courses and most bar courses are taught by our full-time professors. Can I switch from the full-time division to the part-time division? Students are admitted to a specific division and may only switch divisions before enrollment. If the division is full, permission will not be granted. Students interested in switching divisions should contact the Admissions Office for more information. All students may petition the Assistant Dean for Student Affairs to switch divisions upon completion of their first year of study. The size of the full-time division is limited by our classroom size. Can I switch from the part-time division to the full-time division? What dual degrees does the UA Little Rock Bowen School of Law offer? Bowen offers six concurrent degree programs. They are: the JD/Master in Business Administration; the JD/Master in Public Administration; the JD/Master in Public Health; the JD/Master in Public Service; the JD/Master of Social Work; and the JD/Doctor of Pharmacy. What are the benefits of concurrent degrees? By pursuing concurrent degrees you can get double credit for a significant number of courses, thus reducing the time spent enrolled. In addition, you can: (1) Receive an interdisciplinary education that will both diversify and specialize your training and knowledge. (2) Build a career in either field or find a niche career combining mastery of both disciplines in a way that other professionals cannot. (3) Broaden your network and opportunities through internships, classes and professional contacts in both programs. Do I have to be admitted to both programs when I start law school? No, but you must be admitted and concurrently enrolled in both schools to get double credit. We recommend that you apply for admission to the other program as soon as possible after enrollment at the law school. For more information about admission to concurrent degree graduate programs, please click on one of the following schools: UAMS Fay W. Boozman College of Public Health, UAMS College of Pharmacy, UA Little Rock College of Business, UA Clinton School of Public Services, UA Little Rock School of Social Work. Who is a transfer student? A transfer student is one who has completed some course work at another law school. Transfers become UA Little Rock degree candidates. If you have a bachelor’s degree from a four-year accredited undergraduate institution and have satisfactorily completed at least 20 semester hours of credit at a law school accredited by the American Bar Association, you are eligible to apply for transfer to the Bowen School of Law. To be eligible to transfer to UA Little Rock you must retain good standing and you must have satisfactorily completed at least 20 credit hours at either an ABA approved law school or a state-accredited law school. Applicants from state-accredited schools must be ranked in the top 15 percent of their class. Admission depends on the availability of space, your need to transfer, and your academic credentials. The number of credit hours which you may transfer to the Bowen School of Law will depend on the quality of your previous performance, the similarity between your course work and the Bowen School of Law’s curriculum, and the amount of time that has elapsed since you completed the work. You cannot transfer more than 30 credit hours for work completed. Submit a completed Application through LSAC. Submit a letter that explains why you want to be a transfer student. Request an official transcript from the law school you last attended. Undergraduate and graduate transcripts will be required if you are admitted. The Associate Dean for Academic Affairs will decide whether and how much credit to give for courses you have already taken at your law school. Our Transfer Credit Policy can be found here. Who is a visiting student? A visiting student earns credit at our law school for a degree from another law school. Visitors do not become candidates for our degree and may not take more than 45 credit hours at our law school. If you are enrolled at another law school accredited by the American Bar Association or by a state, you may take courses from the Bowen School of Law that will count toward a degree from your home school. To be eligible as a visiting student at UA Little Rock you must retain good standing and be eligible to continue your studies at either an ABA approved law school or a state-accredited law school. You will be required to submit, in addition to other materials, a letter from the dean of your current school granting permission for you to attend as a visitor. Admission depends on the availability of space, your need for visitor status, and your academic credentials. exactly what courses you are permitted to take at our law school. You will receive information about how to register for courses.